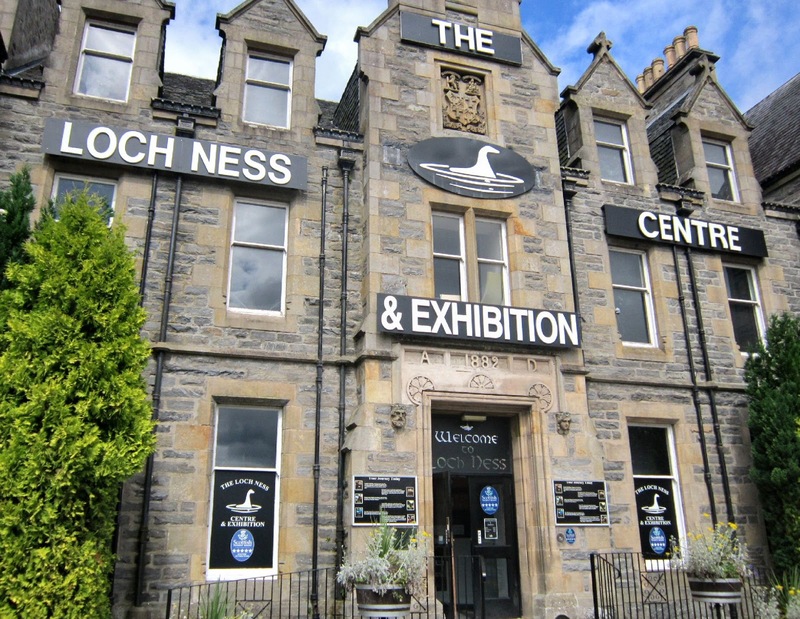 The Loch Ness Centre and Exhibition in Drumnadrochit was much better than I’d expected it to be. As the most hyped-up cryptozoological tourist attraction in Britain, I’d assumed the visitor centre would dutifully tell people what they wanted to hear, with dumbed-down science and lots of far-fetched speculation. But it’s nothing like that at all. It features a series of sober and intelligent audio-visual presentations, together with museum displays of research equipment, newspaper cuttings and relics recovered from various wrecks. As for dumbing down – visitors (even the ten-year-old ones) are expected to take words like “bathymetry”, “pelagic”, “thermocline” and “refraction” in their stride. 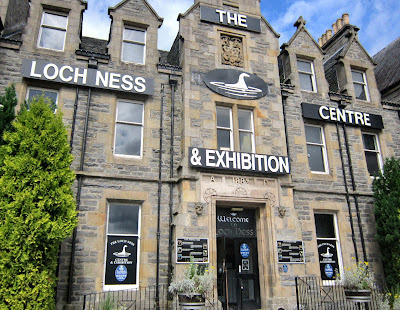 In a way the Loch Ness Centre is another example of the Scottish skepticism I was talking about last week. This is particularly noticeable in the case of the best-known theory of the Loch Ness Monster, that it is a long-necked marine reptile such as a plesiosaur which has somehow managed to survive since Jurassic times. Admittedly the Loch Ness Centre features this image in their logo (which you can see in the photo above), and in innumerable toys and other souvenirs for sale in the gift shop. But inside the exhibition they stamp on this theory right at the very start. Any creature that managed to emerge unscathed from the Mesozoic would have been definitively killed off during the ice age, when the whole of Scotland was covered by a kilometre-thick block of ice for tens of thousands of years. Anything in the loch today that is larger than a single-celled micro-organism must have arrived after the ice melted. And why plesiosaurs anyway? They were pushed out of their ecological niche by whales and dolphins, which are found in plentiful numbers in the waters around Scotland. The seemingly deep-rooted idea that a long-necked monster inhabits Loch Ness only dates from about a hundred years ago. Prior to that, mysterious sightings in the loch always referred to a “huge fish” or a “strange fish”. The word “monster”, prior to the early 20th century, only cropped up in the context of St Columba – the 6th century monk who brought Christianity to Scotland from Ireland. 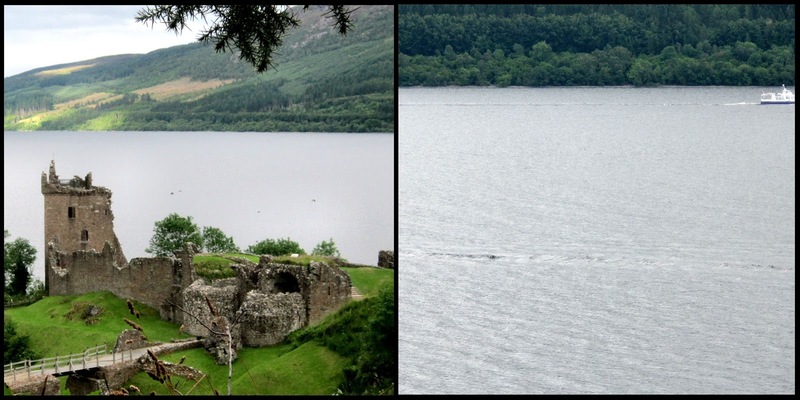 According to legend, Columba “drove away a water monster” in the River Ness near Inverness. It’s important to note, however, that this is a legend relating to a specific event – a miracle associated with a saint – and not recurring monster sightings by ordinary people. 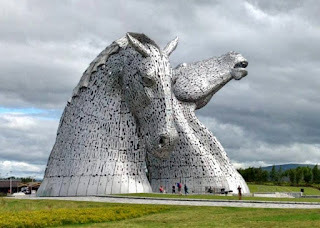 The general conclusion at the Loch Ness centre – again essentially a skeptical one – is that historical accounts of “water horses” and “huge fish” most likely refer to sightings of Atlantic sturgeon. These can grow to several metres in length, and do indeed have a vaguely horse-shaped head. The biggest problem with any large animal living in the Loch is the lack of sufficient food, but that doesn’t apply to sturgeon which are essentially sea creatures that would only be occasional visitors to the loch. While sturgeon have been spotted in and around Scotland in past centuries, they are virtually unknown there now (except for the definitely-not-monstrous First Minister, of course). As for modern sightings of long-necked or serpentine creatures – most, if not all, of these can be explained as misidentifications (together with a few deliberate hoaxes). The visitor centre gives plenty of examples of floating logs, swimming deer, waterbirds and boat wakes all looking like convincing Loch Ness Monsters. I only spent a few minutes looking at the Loch, but even in that time I took the two pictures below which give an idea how misidentifications might arise. The one on the left contains a few dark specks which, if you zoom in on them, you can see are birds in flight. A couple of them have distinctly arc-like shapes which could be mistaken for “monster humps” under different viewing conditions. The second picture shows a boat trailing a wake, with another long wave that has been churned up by the boat in the foreground. Again, under different conditions (e.g. in foggier weather) the latter could be mistaken for a long, serpentine creature just below the surface. Nicely written. I was the one who set this place up in 1980, but it is a lot better today than my first attempt. My own book can be found here: Loch Ness Understood. It took over twenty years to write and takes each piece of evidence individually and explains what is known about it. My own view is that the sightings were of a freshwater North American sturgeon introduced to Loch Garry in the late eighteenth or nineteenth century. They can grow to about twenty feet and can live for three hundred years. One big old fish could have been the cause of it all ... perhaps? That is the beauty of a mystery. You can't be certain. Nice to see the exhibition getting a good review. Some people expect to be conned and get disappointed when they aren't. Ironic eh? Thanks very much for the feedback Tony - I'm really glad you found the review and enjoyed it. Now I will have to find a copy of your book and read it while it's all still fresh in my mind! In the early '80s I bought a book about the Loch Ness monster written by Nicholas Witchell - yes, the BBC newsreader !! Many years later I heard him speaking on the radio and he said he'd written the book while he was still a student. Interesting. Colin - I didn't know that. 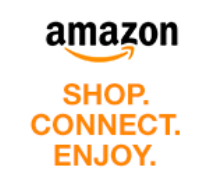 I just looked it up on Amazon and they have second-hand copies of Witchell's book (from 1975) starting at £0.01 + p&p! My great grandad's mother-in-law used to swim in Loch Ness. Mystery solved. To add some balance to the sceptical dominance of the exhibition, they added an end section a few years back which included audio eye witness testimonies of the monster. No attempts to explain these away as logs or dogs, just the eyewitness relating what they saw. Do bear in mind that Nick Witchell's book was written long before we began to sceptically assess evidence in the nineteen-eighties. His book accepts many of the pictures being real which are now known to be either mistakes or fakes. He, like me, was also influenced by the Dinsdale film of a boat. Discovering that wasn't an animal had a major effect on me, as did discovering that the Rines underwater photograph of a flipper from 1972 was retouched with a paintbrush before being released. All of that has now been dealt with and Nick is in no way to blame for coming to the same conclusions many of us did when we were hoodwinked by the Academy of Applied Science and its evidence. Thanks Tony - that's interesting background. It's a pity that Nick Witchell, with his higher public profile these days, hasn't written an updated book to bring these points out -- but I guess he's far too busy with other things. And Glasgow Boy is absolutely right about the eye witness audio recordings. The exhibition leaves you in no doubt that there are mysteries associated with the Loch - it's only "skeptical" in the sense of looking for the most probable explanations rather than the most exciting ones. As for Kid's mother-in-law joke ... you do realize that your "great grandad's mother-in-law" was your own great-great grandmother (or one of your eight great-great grandmothers, to be precise)? Of course I do, Andrew, but it's a famous 'mother-in-law' (sometimes 'wife') joke that seems somehow diluted if you remove that particular in-law from the equation. By that I mean '...remove MENTION of that particular in-law...'. Yes Kid, I have to admit I thought your original wording was funny (but this blog always strives for political correctness, so don't tell anyone I said that). I just wanted to prove I was clever enough to work out her relationship to you (even though I needed a pencil and paper to do it).